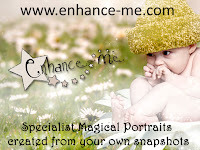 With a fantastic eye for detail, www.enhance-me.com offer a range of beautifully enchanting personalised Magical portraits. ....and it is with a big Thank You to Victoria at Enhance-me that we have a great giveaway for you. 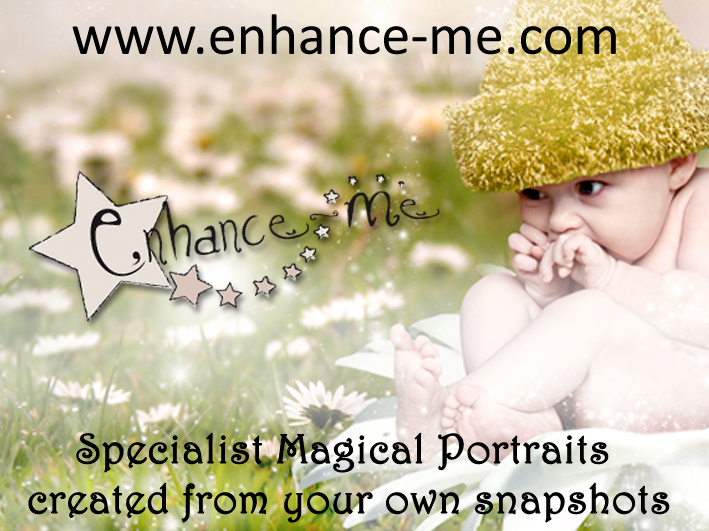 Enhance-Me are offering you the opportunity to win a Magical Portrait for yourself! 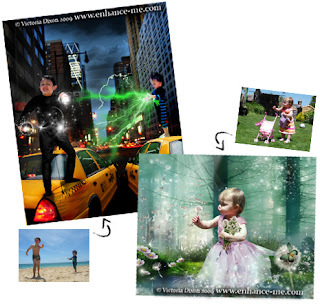 All you have to do for the chance to win, is follow this blog and then visit http://www.enhance-me.com/gallery.html and come back and comment on this post letting us know which is your favourite Magical Picture! So if you are looking for a Christmas gift which is a little bit different (or any other type of gift for that matter!) definitely check out Enhance-me! They are also on Facebook http://www.facebook.com/EnhanceMe - you can pop across, show them some love and make sure you give the video a watch! 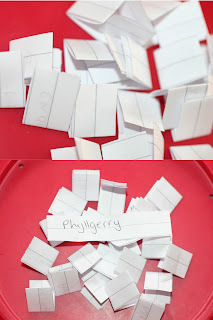 Phyllgerry - please email me on info@piddleypix.com to claim your prize! Great giveaway. Am now following - Small would love to be a superhero I think! i love My Pet Snail ! Eerie Forest Magical Portrait - I think this is absolutley briiliant with halloween coming up but really love the pretty girly ones too. The fairy glen!!!! my girls love seeing themselves as fairies my daughter said to me the other day looking at the autumn glen that is her in the imagination. Very cute!!! I love the oranges and reds too just magic stuff. The list is endless. I love the dandelion forest one, it looks so magical, with the sun beaming down. I would love to win the chance to have a photo done for a friend, who has a lovely little girl. How can you possibly ask us to choose from all those photos, what an impossible task that is. Oh well, if you were to push me into a corner I think I would say the Victorian sleigh ride magical portrait as it has horses and snow, both of which I love, and the nostalgic feel of it just adds to it. Equally though I love the Magical santa and reindeer portrait as it sums up the magic of Christmas and all the suspense of it and reminds me of my childhood, which now is a long long time ago! Just too many beautiful backgrounds to choose, but I think the Narnia magical portrait is my favourite. Wow - they are all so magical. I have never seen anything like it before and am tempted to get one instead of the usual School photos of the children! It is difficult to chose, but I am going for the Christmas wreath as it is sooo different and would look wonderful on a Christmas photo card to send to the relatives! I love the stork baby pics or the aqua daisies. What a lovely idea - id never have even thought that something like this could be done. oh these are so gorgeous! I love the Lily and Swan picture - I have 6 beautiful children, and could just picture them all on the lily pads!!! truly magical! I adore all the pictures, they are beautiful! The Competition is now Closed! Thank you for the comments - winner coming shortly!